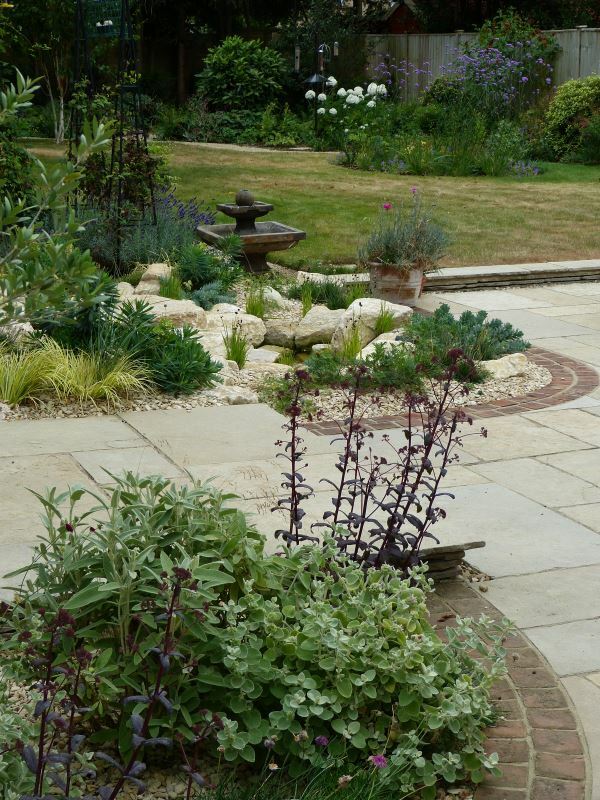 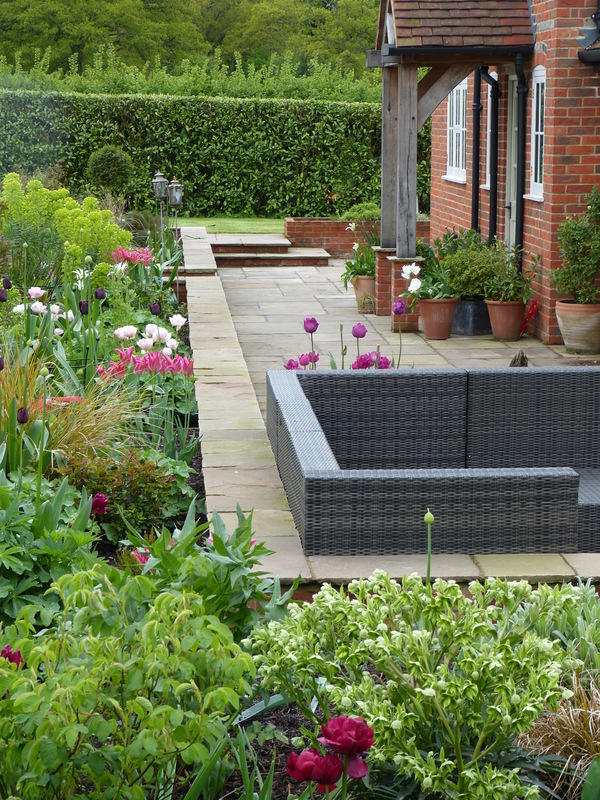 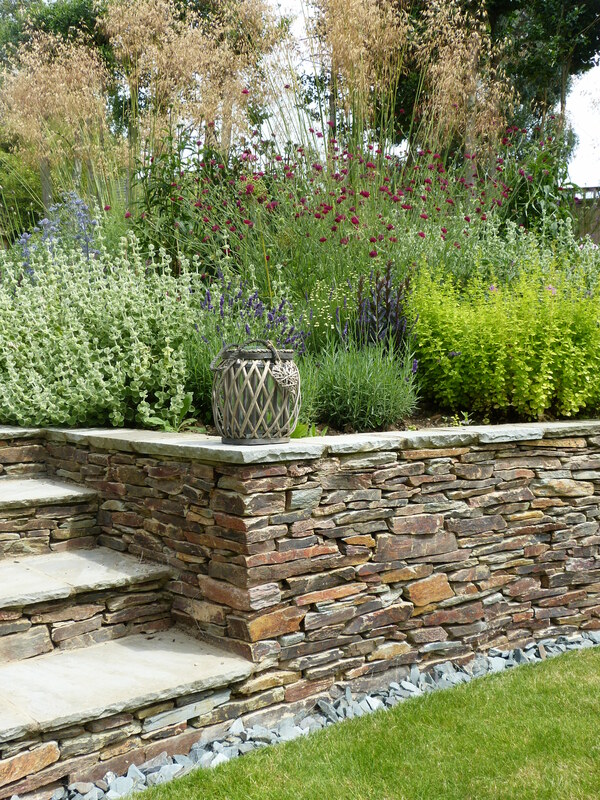 A plant enthusiasts’ garden, with little hard landscaping, this garden enjoys abundant planting in creative combinations, capturing atmosphere and hours of pleasure for the garden owner. 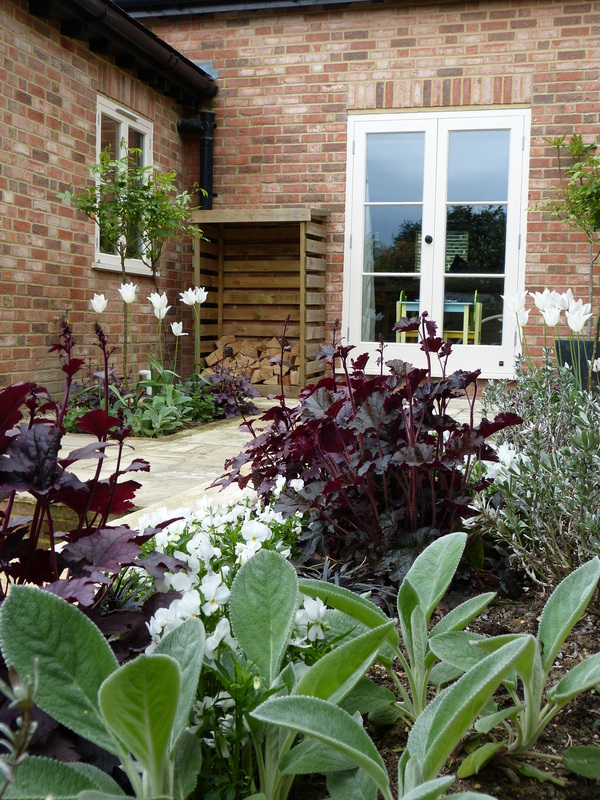 A summer house acts as a focal point, its’ colour complimenting the plants around it. 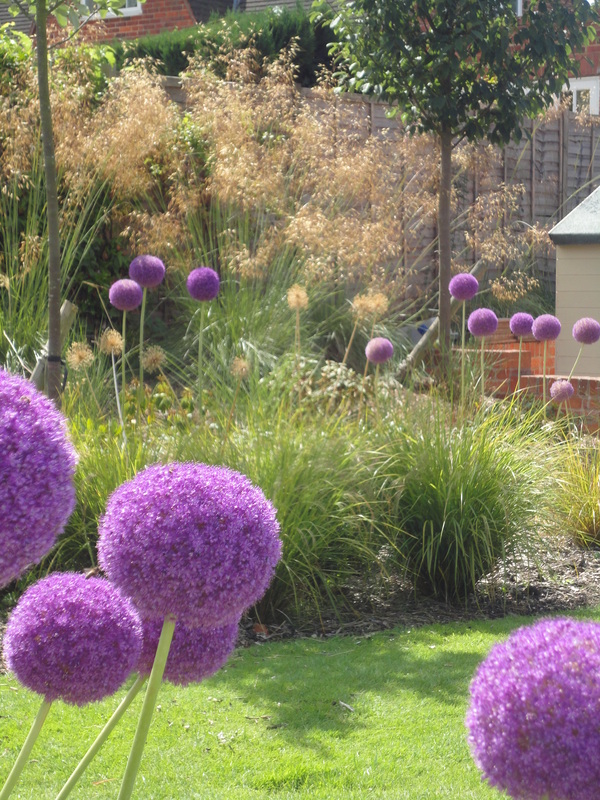 Whilst training in Garden Design I was given the opportunity to manage the planting in this 2 acre garden, working to a budget to produce exuberant planting and colourful combinations, including a home produce area and cutting garden. 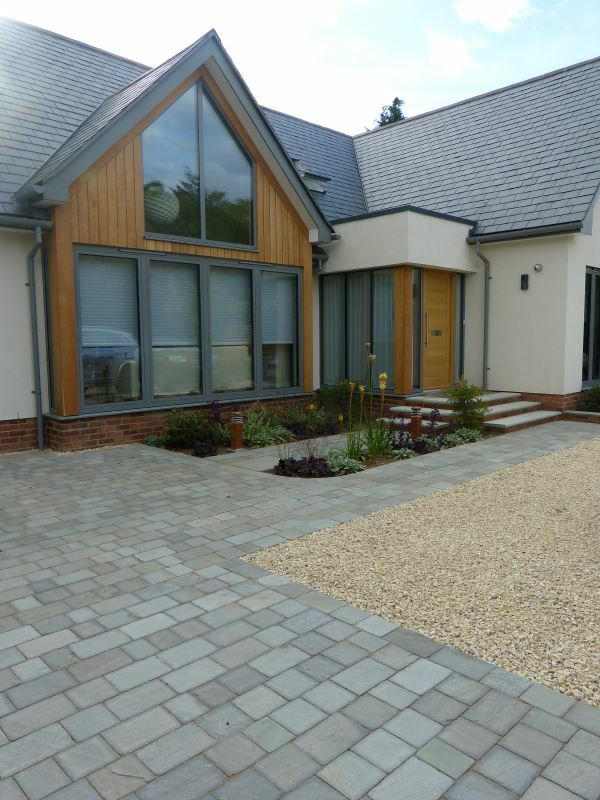 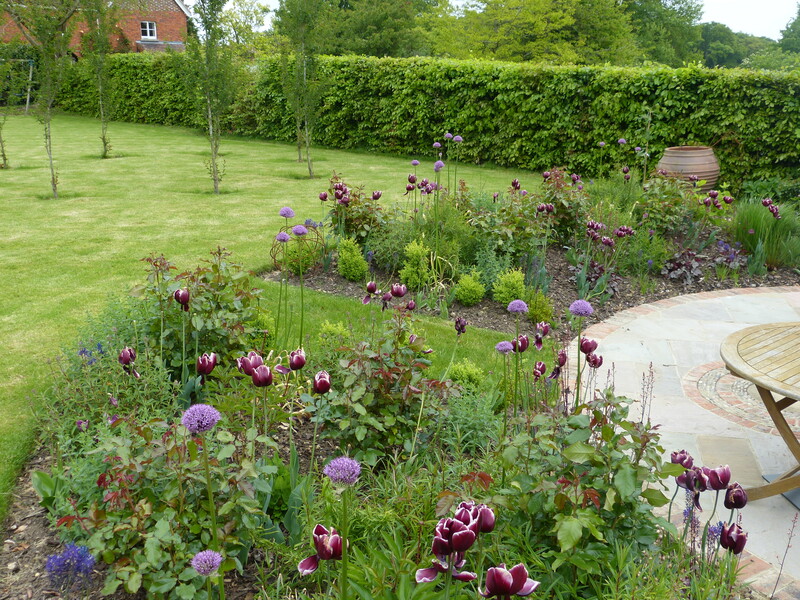 I also learnt the importance of designing lawns with borders that can be cut easily! 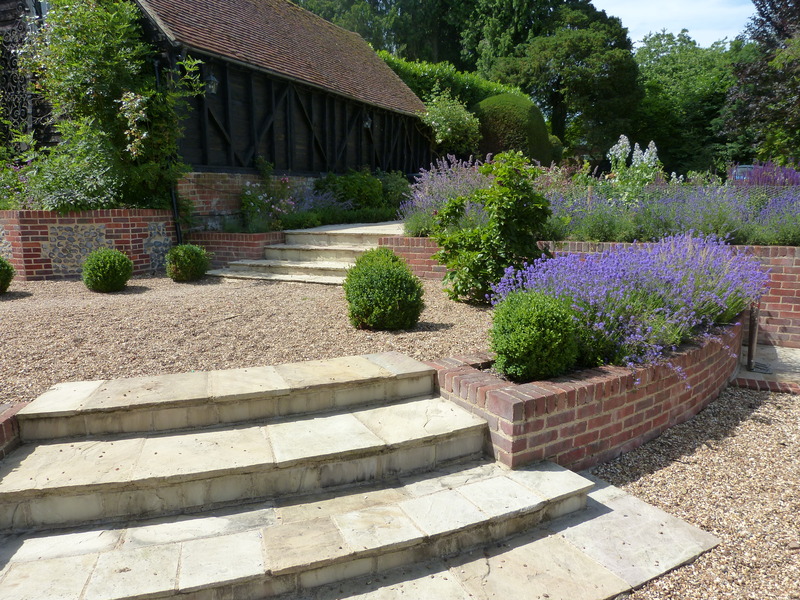 A large twin border backed by a yew hedge was planted with a mixture of perennials and evergreens for year round interest, peaking in late summer. 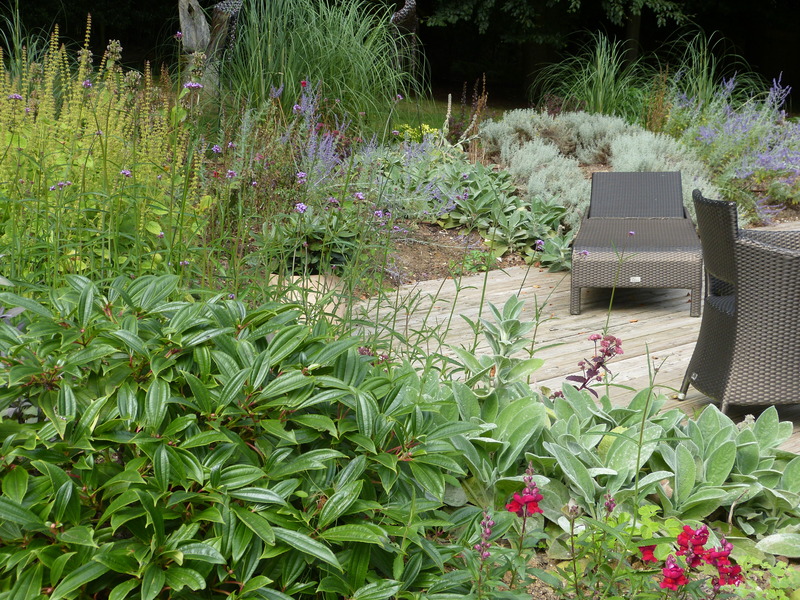 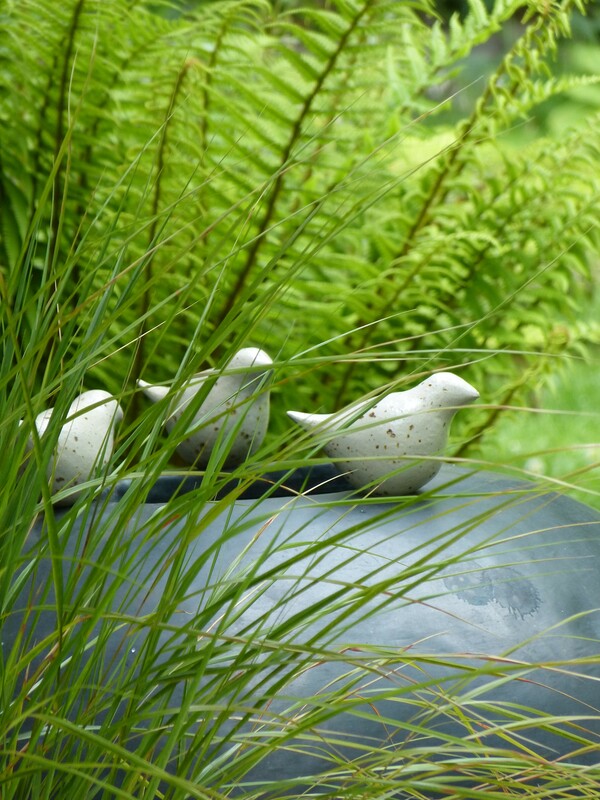 Further planting settled a studio into the garden, softening its’ new presence.